Last Man on the Moon is now released! Our film “The Last Man on the Moon”, from Mark Stewart Productions, is now officially released. It is showing in selected cinemas in North America, is available on iTunes, and US Blu-rays and DVDs can be pre-ordered. Initial reviews have been excellent. 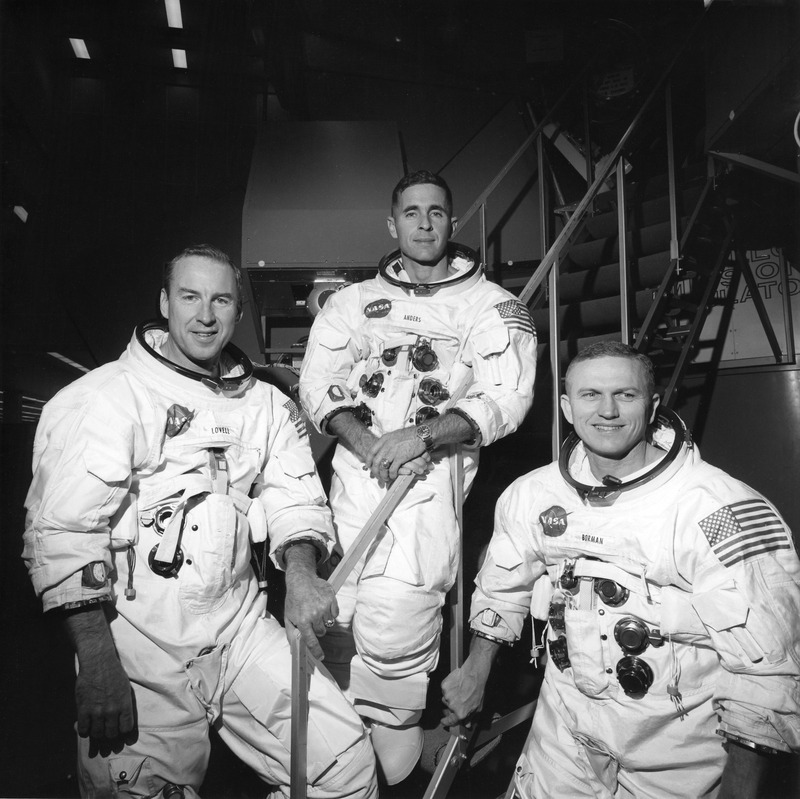 From left to right: Mark Craig Director; Keith Haviland Co-Executive Producer; Eugene Cernan; Gareth Dodds, Producer and Mark Stewart, Executive Producer. The film is a feature-length biography of Eugene Cernan, astronaut, aviator, friend and family man. The core team consists of Mark Craig, Director; Gareth Dodds. Producer; Mark Stewart, Executive Producer and – of course – Commander Cernan himself. It has been a great personal pleasure and privilege to have supported this project. Like all good films. it works at many levels. It looks and sounds beautiful. It is intensely human and at times very funny or intensely moving. The movie appeals to a wide audience, and people with little interest in spaceflight still become engrossed in its gripping story about a man, his family and his friends. The section about the Apollo 1 fire is deeply sad. 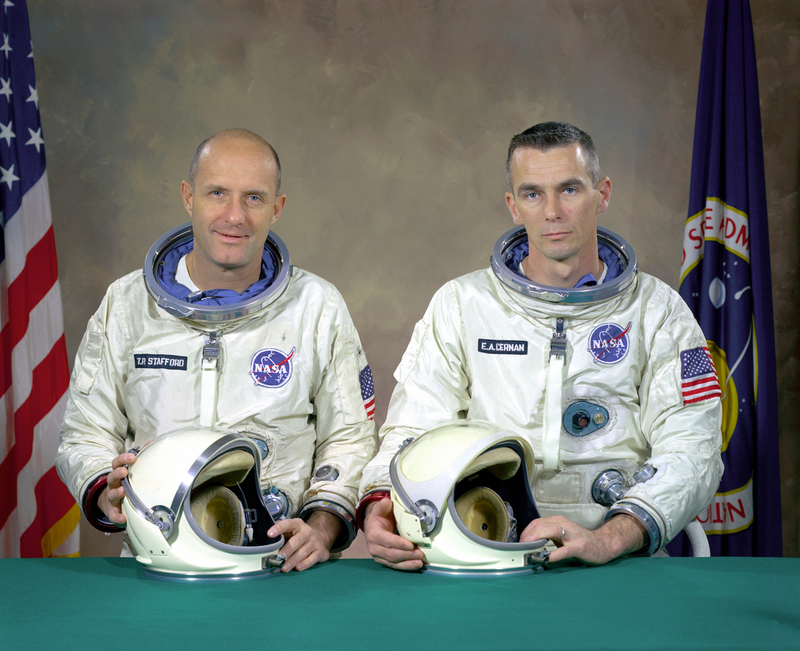 Sections on Gemini 9 and Apollo 10 recreate the drama of manned spaceflight. The treatment of Apollo 17 (the last Apollo mission to the Moon) is celebratory, and sometimes approaches the spiritual. Gene Cernan being interviewed at the Houston premiere of “The Last Man on the Moon”. At the heart of the story is Captain Cernan’s remarkable personal journey. From humble beginnings, he became a skilled Navy aviator. He was next accepted as an astronaut, and the film allows you to share his raw joy at that moment. During his NASA career, he faced some difficult missions, dealt with genuine tragedy, and makes his own mistakes – including a poorly timed and avoidable helicopter trash. But he retained his passion, his ambition and an absolute focus on the program. He became remarkable leader, and to this day can still light a room and inspire people with his presence. The film expands to cover his family life, and his deepest friendships, and also manages to be one of the best histories of the golden age of the Apollo era. The film will appear in other regions soon. To keep up with the film’s progress visit the film’s Facebook Page or its dedicated website. Published author and active film producer, including being Co-Executive Producer on “The Last Man on the Moon”. Advisor/investor for web and cloud-based start-ups. 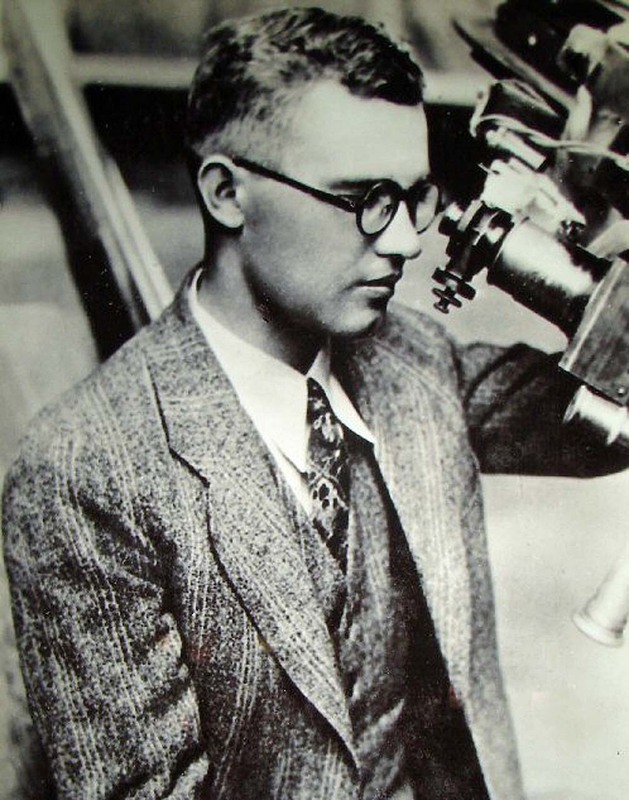 Pluto was discovered on 18 February 1930 by young astronomer Clyde Tombaugh. His technique was humble, switching mechanically between photographic plates to see if one of the faint points of light appeared to move. On that day, he noticed a moving object on photographic plates taken on 23 and 29 January of that year. After the Lowell observatory had taken confirmatory photographs, news of the discovery was announced on 13 March 1930. The naming process would prove complex, and human. Candidate names include Zeus, Percival and Chronos. 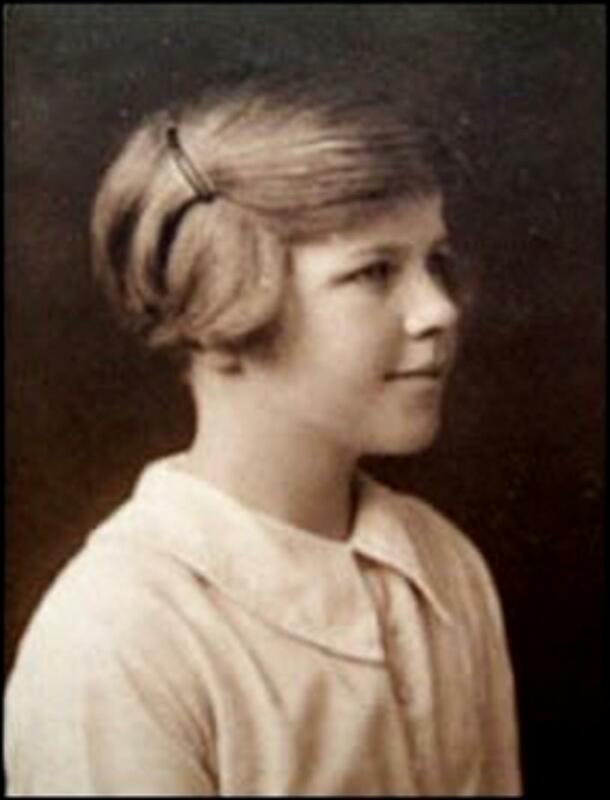 The final choice of Pluto was proposed by Venetia Burney, an eleven-year-old schoolgirl from England, who was interested in mythology. She would earn £5 for her idea. The name would inspire Walt Disney in naming his cartoon dog, and the discoverer of the radioactive element plutonium. 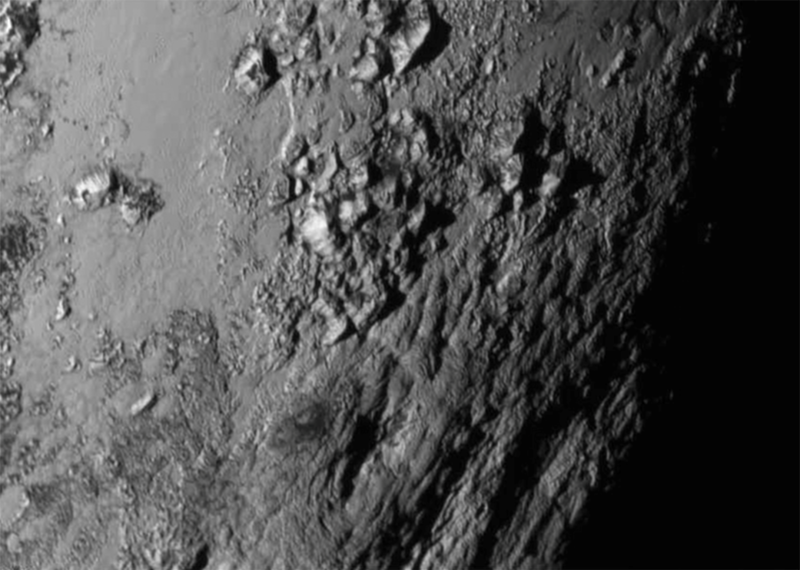 Within months of discovery, Pluto was appearing in fiction, including the Cthulhu Mythos stories by HP Lovecraft. 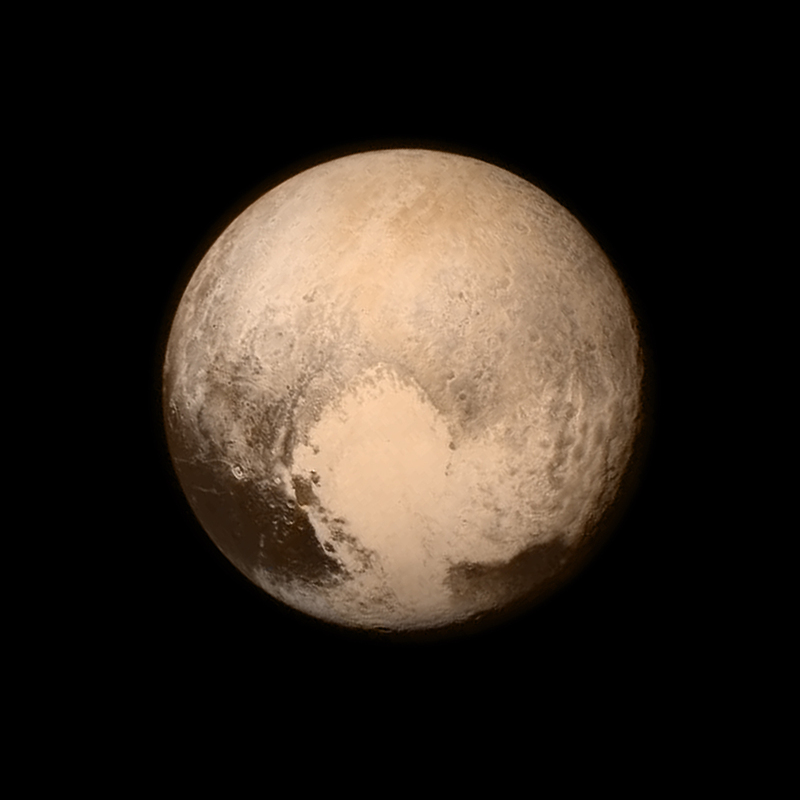 But the main role of Pluto in popular culture was to be a symbol of vast distance, cold loneliness and the unknowable. Even the mighty Hubble telescope would find only the barest hints of what lay on its surface, a surface that would sometimes reach temperatures as low as 33 Kelvin, within touching distance of absolute zero. Indeed, a Pluto flyby was a possibility for the “Grand Tour” undertaken by Voyager 1, and would have happened in the late 1980s. However, a close approach to Saturn’s moon Titan was selected instead, since it was seen as of much greater significance than tiny, remote Pluto. As a consequence of that, when Voyager 2 encountered Uranus and Neptune, Pluto became the only traditional planet whose face was unmapped and unknown. So, in 1989, a group of scientists formed the “Pluto Underground” to promote the idea of a mission. At the heart of this alliance was a scientist called Alan Stern, who would pursue the concept of a Pluto mission with intense passion and would eventually become the Principle Investigator for New Horizons. It wasn’t an easy process. Initial ideas were rejected, sometimes with great controversy. Then a competition was held, in which NASA would select a mission concept to fund as part of the first mission of the mid-cost New Frontiers program. New Horizons won, was rejected but then re-selected, for a mission cost of around $700m. 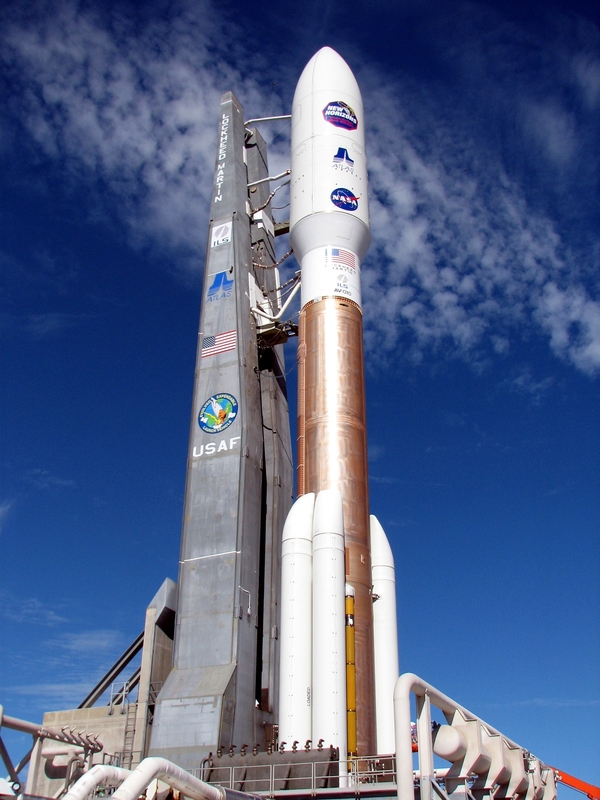 The probe finally lifted off from Pad 41 at Cape Canaveral at 14:00 on January 19, 2006. The triangular New Horizons spacecraft has been compared in size and shaped to a grand piano. Unlike a piano, it is powered by a plutonium battery – more formally called a radioisotope thermoelectric generator or RTG. There’s irony here. The first probe to Pluto is powered by an element named after it. New Horizons was the fastest spacecraft ever to leave Earth, it was accelerated even further after a scientifically valuable flyby of the Jovian system. Almost a full decade after lift off, New Horizons reached its destination – the distant ice world of Pluto, almost exactly on the day that marked the 50th anniversary of interplanetary exploration. Because New Horizons is 4 ½ light hours away, the extraordinarily fast encounter was dark to the ground, powered by software and supported by immense pre-planning. But shortly afterwards, and for first time in many years, we had the raw pleasure of seeing – as a connected human community – the faces of strange new worlds. We saw the cratered surface of Charon, the major moon of Pluto, cracked by a mighty canyon and marked by a mountain seemingly buried in the heart of a crater, like a giant Norman castle. 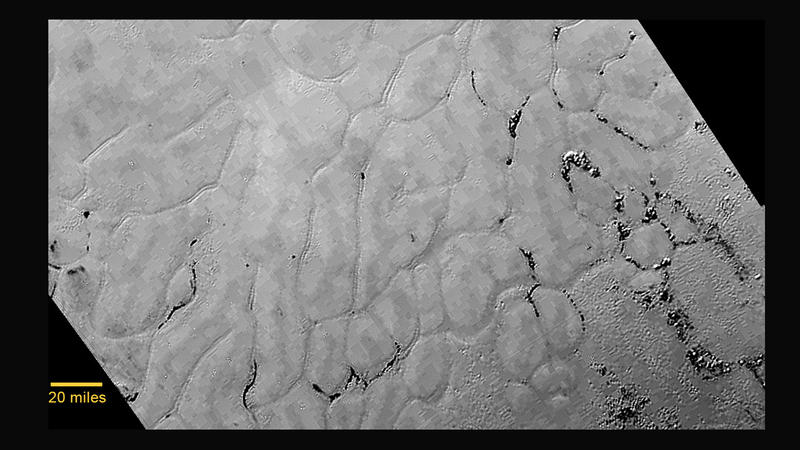 On Pluto we saw a landscape of the Norgay Montes ice-mountains adjacent to a vast young plain (Sputnik Planum) fractured into polygon shapes – a landscape that is somehow active and renews itself at those temperatures of 33 kelvin. The triumph of New Horizons completes a story that combines the initial discovery of a very distant world, the vision of those that pursued a Pluto Mission for decades, and the gigantic contribution NASA and the US have made to this period of exploration. That story also includes the remarkable efforts of the New Horizon team, across complex planning, the spacecraft design, the construction of the science instruments and the management of mission operators. It is of course a human story, not just a tale of achievement in technology and engineering. The probe itself carries a number of artifacts that tie it back to the beginnings of the Pluto story. Two stand out for me. The Venetia Burney Student Dust Counter or VBSDC was built and is operated by students at University of Colorado. It measures the dust peppering New Horizons during its voyage. 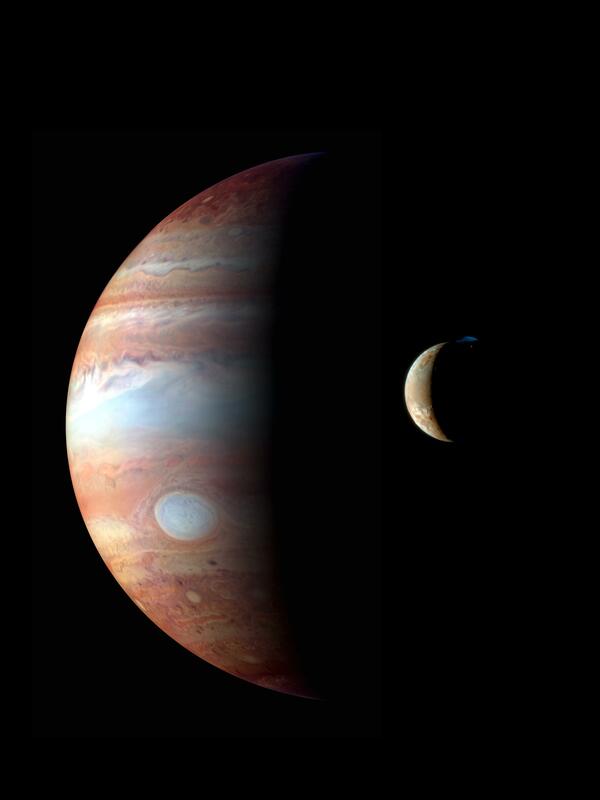 It is named after the little girl who named the distant world in the early 1930s. And most moving of all is the fact that the craft contains one ounce of the ashes of Clyde Tombaugh himself, the young man who discovered Pluto and who would never know that his remains would pass close to 10,000 kilometers about the surface of the planet he was the first to glimpse. As principal investigator and life-long Pluto advocate Alan Stern has said: “We have completed the initial reconnaissance of the solar system.” And like all such missions, for a moment it connected us all, as an example of the best we can do. 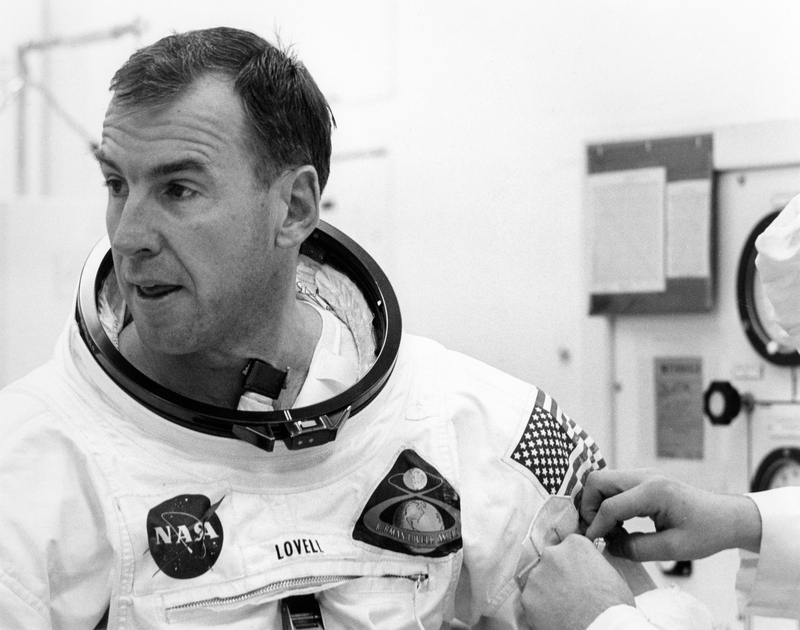 Forty five years ago, astronaut Jack Lousma was acting as the ground-based Capcom (a shorthand for Capsule communicator) for the Apollo 13 mission, which was in its coast phase towards the Moon. 13, we’ve got one more item for you, when you get a chance. We’d like you to stir up your cryo tanks. Okay, Houston —I believe we’ve had a problem here. There had been an explosion. The crew’s first thoughts were that a meteor might have struck the Lunar Module. In fact, an oxygen tank had exploded because of an old wiring issue inside the tank. The following image – taken in the last minutes of the flight – shows the immense damage done to the Service Module. What followed is equally well known – a story of resilience, ingenuity, guts and adaptability. The main Command and Service Module Odyssey would be powered down, and the Lunar Module Aquarius would become an unexpected lifeboat, supporting the full crew way beyond its original design limits. The moon was lost. The rest of the mission would now have a life and death focus on managing resources and controlling the spacecraft’s trajectory. The unfolding events would grab the world’s attention in a way that was unprecedented – billions of people would care, and sometimes pray, for the Apollo 13 crew during their encounter with fate. Cutting to the present day, It was my privilege to attend a Forty-Fifth anniversary celebration of the mission at Cape Canaveral last Saturday. The highlight was a panel discussion with the surviving astronauts (Jim Lovell, and Fred Haise), mission directors (Gene Kranz, Glynn Lunney, Gerry Griffin) and the Capcom team (Vance Brand, Jack Lousma and Joe Kerwin). The discussion was both entertaining and hugely inspiring. We sat in front of real history. 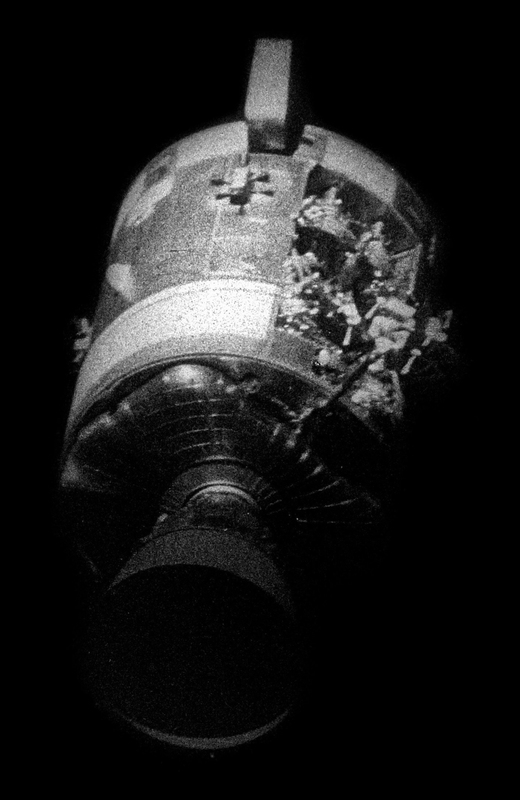 Again it struck me again how perfect Apollo 13 is as a modern parable: a parable of leadership; of how to take action in a moment of complex crisis; of teamwork, and of engineering excellence. I have often used it in my own thinking, and teaching. 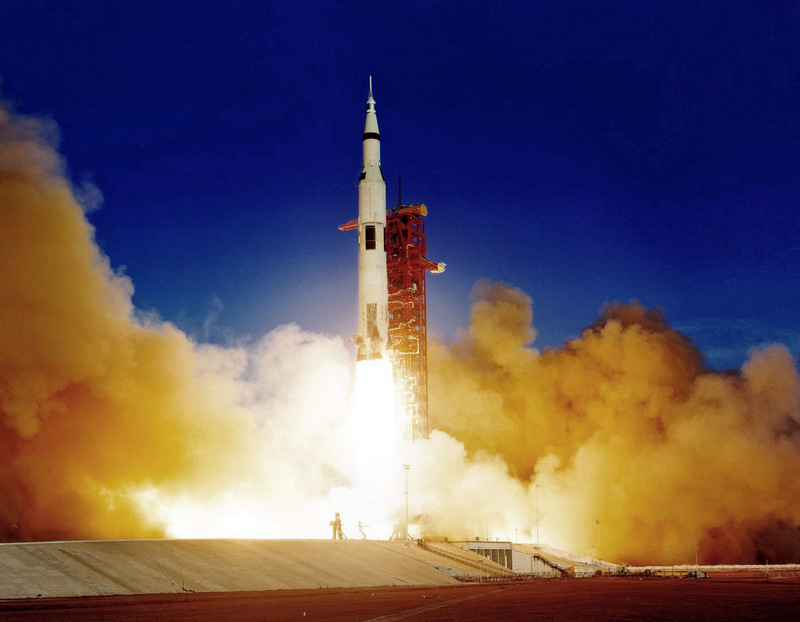 In no particular order, here are just some of the lessons Apollo 13 can teach us. The Power of Teamwork. The film Apollo 13 centres on Jim Lovell and Gene Kranz. It has to, in order to present a complex real-life drama with the confines of the movie format. But it was not for nothing that the panel at the celebration event consisted of multiple astronauts and flight directors. And every member of that panel emphasised the importance of teamwork, and how they themselves represented the efforts of 1000s. Indeed, before cell phones and modern communications, without asking and within a short period after the incident, Houston Mission Control and many other NASA centres were filled with NASA members and supporting contractors. People would be at their desks for days, dividing up an immensely complex problem into solvable pieces. NASA and its suppliers pulled together to save the three astronauts as they swung around the moon. The Power of Responsible Leadership in a Crisis. One of the key moments for the flight directors managing the crisis occurred when they – represented by Glynn Lunney and Gerry Griffin – went to brief NASA leadership, who would themselves have been under a great deal of hard-edged public pressure. The flight directors went through five complex recovery scenarios, and made their recommendation out of that five. We have just one question. How can we help? Those of you who have worked in major problem resolution and crisis management will recognise the importance of this. As a leader, if you have the best people, and good procedures, then your role is to let them act, and give them the resources and support they need. The Power of Professionalism. The crew of the mission, and the people that supported them, had been selected on the basis of character and ability. They had been well trained. As Ron Howard, director of the film Apollo 13, once pointed out to Jim Lovell , it was hard to hear a problem when listening to the original tapes from the time of the initial explosion. The response to immense problems was calm and measured – in both the spacecraft and in Mission Control. It was focused on making revised plans, and working those plans. In fact throughout the crisis, there was little doubt and little fear. The NASA team believed it could save the astronauts, and worked carefully to that goal. The Power of Preparation, Rehearsal and Testing. Although the Apollo 13 was an extreme incident, NASA’s careful preparation paid off. They had rehearsed using the lunar module to control the full “stack” on Apollo 9. NASA’s detailed, existing procedures proved to be highly adaptable to the new set of problems. The wiring on the Command and Service Module was made to an extraordinarily high standard – a reaction to the tragedy of the Apollo 1 fire. That meant that the dampness inside the hibernating spacecraft did not create issues when it was brought back to life for re-entry. So, after forty-five years, the story of Apollo 13 – of NASA’s successful failure – still endures, and inspires. Above all, it can teach. I have had the privilege of being part of the production team for the forthcoming and extraordinary film Last Man on the Moon, which is about the remarkable life of Apollo astronaut Eugene Cernan. The Executive Producer is Mark Stewart, the Director is Mark Craig, and the Producer is Gareth Dodds. You can find the film’s impressive trailer here. The film has been previewed at SpaceFest in Pasadena, and at Sheffield Docfest. It received standing ovations, and good initial reviews from the Hollywood Reporter (see here) and the Guardian (see here). It combines modern footage, well-judged and well-executed special effect sequences, and excellent archive (including much footage that is rarely seen, and personal archive film of Cernan’s early years). Like all great films. it works at many levels. It looks beautiful. It is intensely human and at times funny or moving. It appeals to a wide audience, and people with little interest in spaceflight still become engrossed in its gripping story about a man, his family and his friends. The section about the Apollo 1 fire is deeply sad. The treatment of Apollo 17 is celebratory, and sometimes approaches the spiritual. For me, as a student of how men and women become leaders and how teams of people, and teams of teams, can work together to achieve extraordinary things, the film has two inspirational stories to tell. The first is Captain Cernan’s remarkable personal journey. From humble beginnings, he became a skilled Navy aviator. He was next accepted as an astronaut, and the film allows you to share his raw joy at that moment. During his NASA career, he faced some difficult missions, dealt with genuine tragedy, and makes his own mistakes – including a poorly timed and avoidable helicopter trash. But he retained his passion, his ambition and an absolute focus on the program. He put in his 10,000 hours of learning, working and more. As a result, he was selected to be the commander of an Apollo mission to the moon – an achievement he shares with only eight other humans. He had become a remarkable leader, and to this day can still light a room and inspire people with his presence. The second story is that – although the film is first and foremost a brilliant insight into a life- it is also simply the best summary I have seen of the golden age of the US space program as a program. 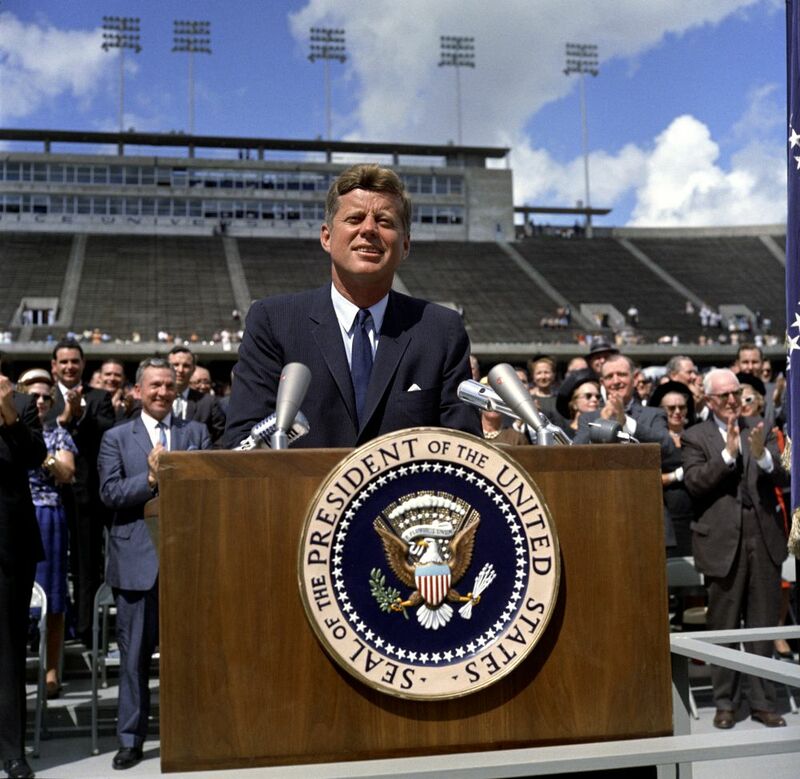 There is a scene early in the film where Captain Cernan watches a recording of Jack Kennedy’s famous speech that launched the moon program, delivered at Rice University in Houston on September 12, 1962. The speech is redolent with history. It sets a simple, but gigantic purpose and even defines a schedule. It is a perfect example of initiating a program with scalpel-like precision. “”We choose to go to the moon. We choose to go to the moon… (interrupted by applause) we choose to go to the moon in this decade and do the other things, not because they are easy, but because they are hard, because that goal will serve to organize and measure the best of our energies and skills, because that challenge is one that we are willing to accept, one we are unwilling to postpone, and one which we intend to win, and the others, too”. The film then cuts to Gene Kranz, who reminds us that at this point the US had just minutes of manned spaceflight experience. A goal of enormous scale had been set. The birth of the US space program was not easy. The film only touches on this with brief archive clips, but like any new complex program, and any new technology there were multiple failures. One was the “four inch flight” where a thankfully unmanned Mercury-Redstone rose four inches before the engine shut down, and the rocket returned to its pad. The small escape rocket lifted off by itself, and the parachutes spilled out over the still-fueled main rocket, threatening to drag it over. The first six flights of the Lunar Ranger program – America’s first unmanned missions to the moon – failed. There were more launch failures. The target (i.e. the moon) was missed, and cameras failed. But all good programs are built to deal with issues, and to learn. The Mercury program did put the first US astronauts into orbit, safely. And the last three Lunar Ranger missions were completely successful, returning the first close-up images of the Lunar surface. Cernan’s first mission was Gemini 9. It wasn’t meant to be. He and Tom Stafford (the commander) were the back-up crew, but the main crew of Elliot See and Charlie Bassett were killed in a plane crash in bad weather – captured in a melancholic use of archive and voice over in the film. Gemini was a sequence of two-man craft, designed to test in Earth orbit basic techniques of spacecraft rendezvous, docking and space walking. From a program viewpoint, it was an essential period of developing, prototyping and testing elements needed for later missions. It was a stepping-stone to Apollo and the moon. Gemini 9 proved to be hard. One part of the mission was to simulate docking with an unmanned Augmented Target Docking Adapter or ATDA. 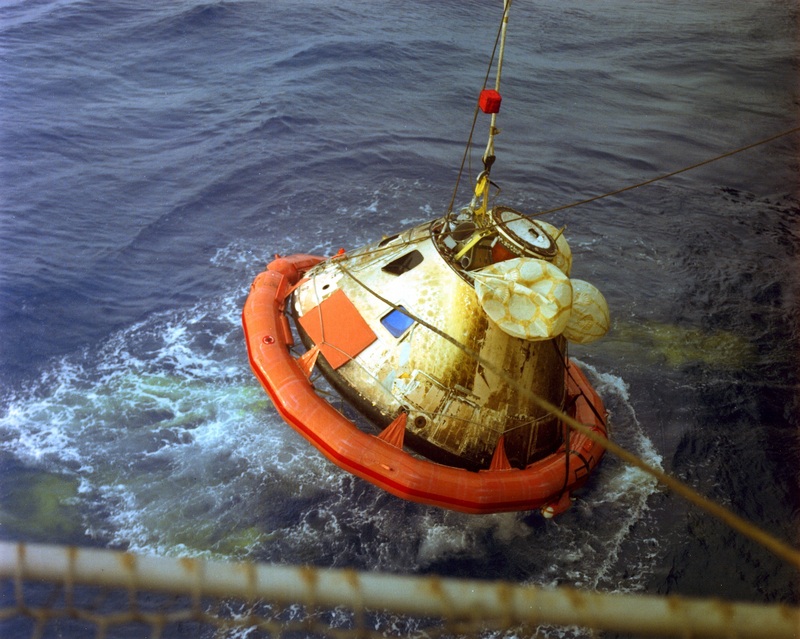 When Cernan and Stafford arrived they found the other craft slowly rotating, with the two sections of the cone-shaped nose shroud still attached. Stafford famously said at this point: “It looks like an angry alligator out here rotating around”. Cernan and Stafford saw that, although the shroud’s explosive bolts had fired, two lanyards were still keeping the shroud pieces together. It would turn out that boundaries between teams, and process problems, had led to an incorrect launch configuration. Another part of the mission, and this is a major and dramatic segment of the film, involved a spacewalk, or EVA in NASA jargon. The truth was that at this point in the space program, nobody understood space walks properly. The objective of the EVA was for Cernan to use a prototype Astronaut Maneuvering Unit or AMU, a science-fiction-like rocket pack. The first problem was that, after pumping up his suit it “became so stiff that it didn’t want to bend at all.” Then as he left the hatch, he began tumbling wildly, twisted around by his umbilical. 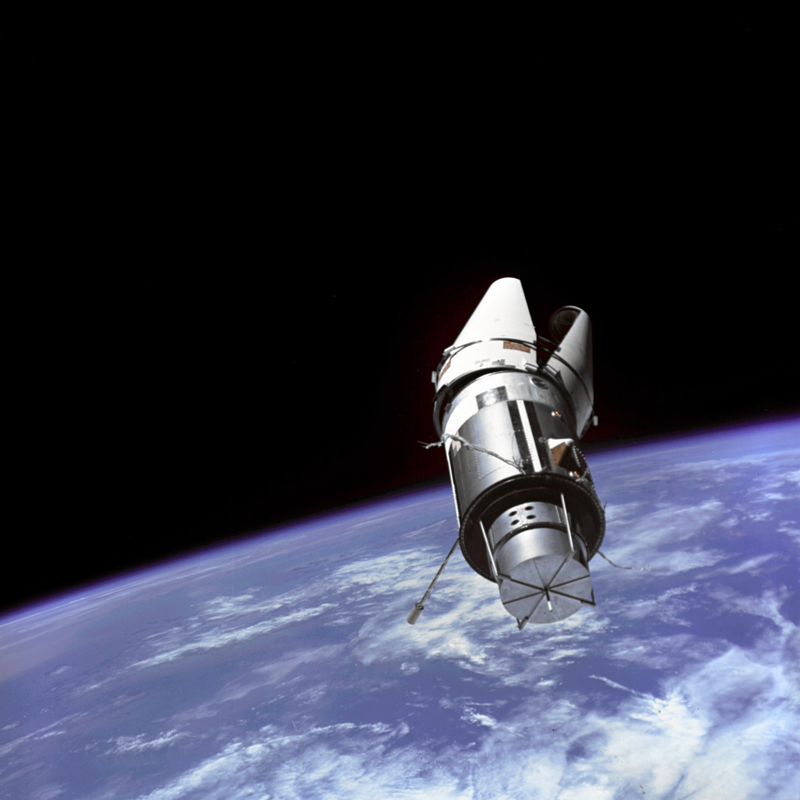 He eventually got to the rear of the spacecraft, where the AMU has been stowed. His suit had “all the flexibility of a rusty suit of armor” and the work around the AMU proved to be much harder than expected. A lack of hand and footholds meant he could not get easy leverage to help him turn valves and enable other movements. His pulse reached 180 beats per minute. Eventually the EVA was abandoned, and the AMU left where it was. NASA would learn a lot from this failed spacewalk, showing the power of a focus on improvement that is an necessary part of any large program. They would add hand and footholds for easy leverage – which Buzz Aldrin would demonstrate successfully on a later Gemini mission. They would redesign their space suits to avoid overheating, and they would balance workloads more effectively for future Gemini and Apollo EVAs. Cernan’s next mission was Apollo 10, again working with Tom Stafford as commander. This was a full dress rehearsal for Apollo 11, the moon landing. Such rehearsals are essential parts of any large program but especially important in something as dangerous as a spaceflight. The Apollo 10 lunar module would get within 8 miles of the lunar surface. The mission would provide data to calibrate the powered descent guidance system for future missions, test the mission control procedures and communications systems needed for landing, and provide many other insights. The film elegantly captures the beauty of the flight, and its arrival above the alien landscape of the film. But, as with many other types of dress rehearsals, there was a moment of real crisis. 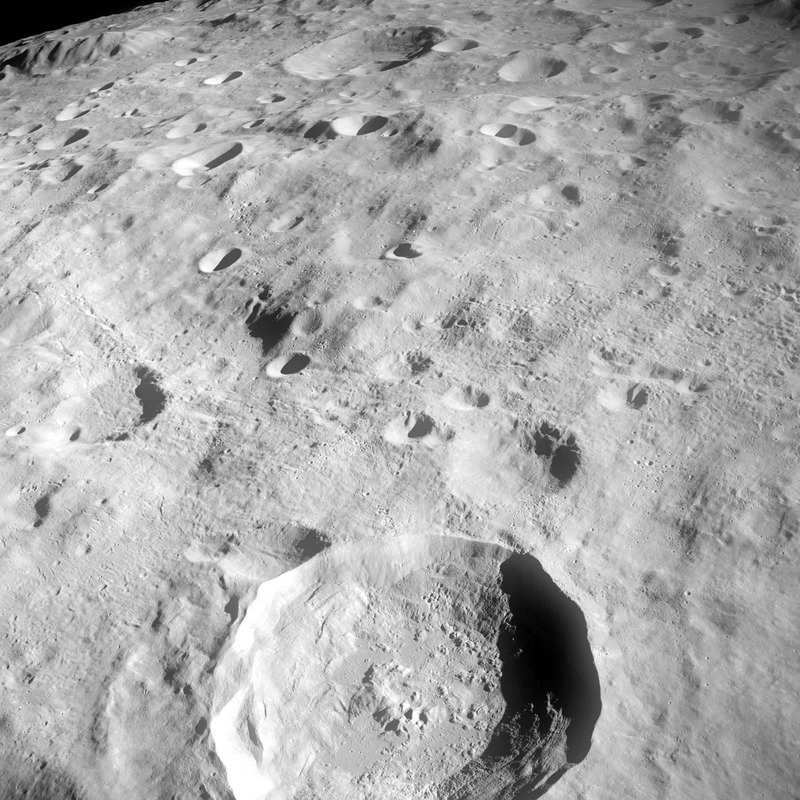 As the Lunar dropped its first, descent stage, it began to roll and twist very violently. This had been caused by a small error in setting the controls. 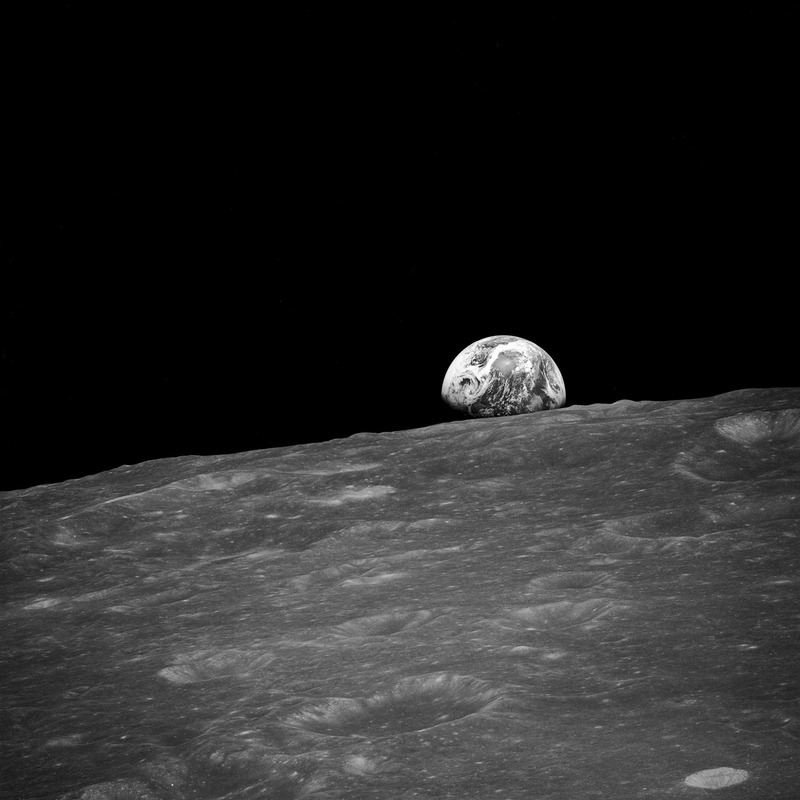 As Cernan remembers in the film, he observed the horizon spinning through the window many times. It was a moment of high danger, eventually resolved. But overall, Apollo 10 was a tremendous success. It would pave the way for Apollo 11, and Neil Armstrong’s great leap for mankind. 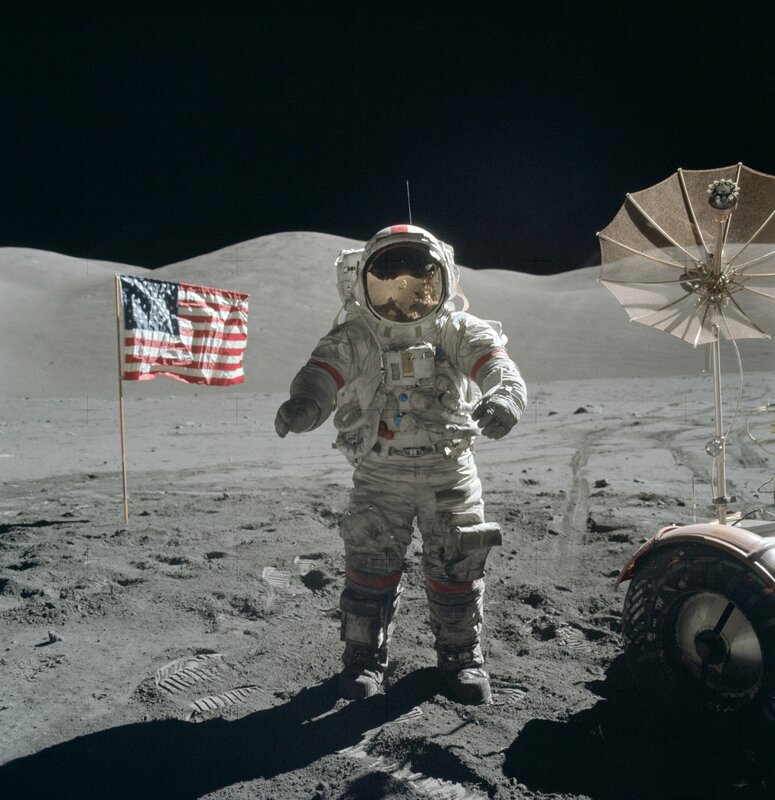 Apollo 17 was Cernan’s last mission and for him an immense personal achievement. He had proved himself capable of leadership, and he was selected to be the Apollo 17commander. As a side effect of that, he would become the Last Man on the Moon, for at least a while. Apollo 17 would be one of the great Apollo missions, the culmination of a decade of work from a team numbering in the hundreds of thousands. It has a strong science element, and carried the only Apollo scientist-astronaut, geologist Harrison Schmidtt. They would spend three days exploring a large area with their Lunar Roving Vehicle or LRV. 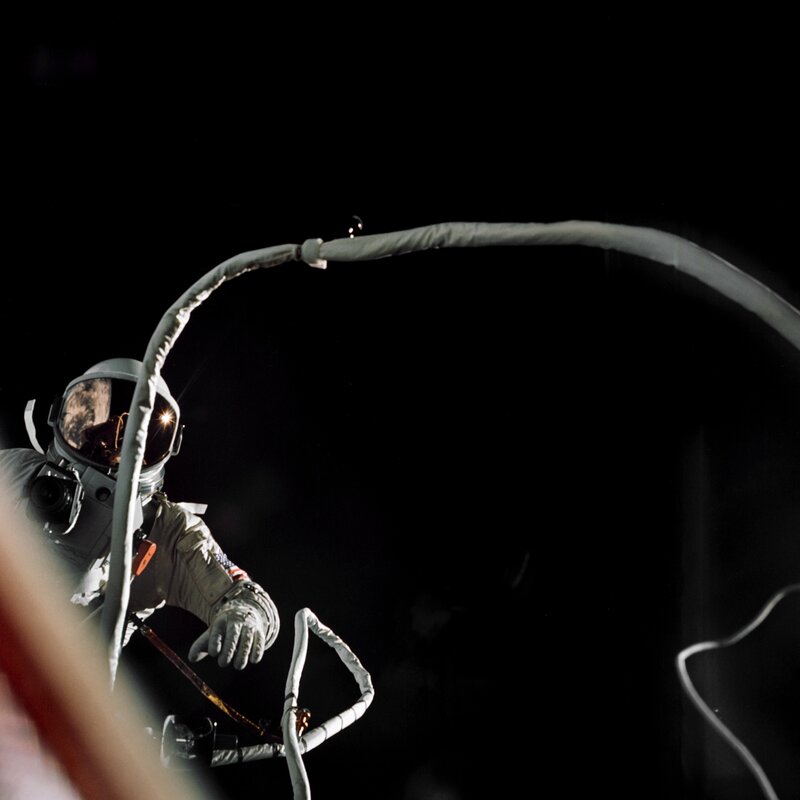 In many important ways, the mission was built around the learning from Cernan’s previous flights – in the design of the spacesuits for the lunar surface, and the structuring of the EVAs, and in the data collected from the Apollo 10 rehearsal. Apollo 17 was just not a single mission, involving a brave crew of three – it was part of a sequence, of a well-organized and well-managed series of missions that formed part of the boldest program ever undertaken, by a team of extraordinary scale. It shows what we are capable of. And the film ends with a voice-over from Commander Cernan that captures that sense of achievement, aspiration and opportunity. The trailer of the film Last Man on the Moon is available here. Throughout my career, I have often thought about those qualities required of people and teams when delivering large-scale and complex undertakings. It takes a special kind of leader and a special kind of group to aim at incredible things with success, and especially deal with the inevitable problems that come from very large teams, businesses and highly-complex programs. There’s much to say around culture, how to organise, how to plan and how to operate and communicate. Handling deep issues and major change is also part of the art. It is a subject that fascinates me, because in the end we are a social, teaming species that achieves its potential through working together. To get started, below is one of the best set of principles I have seen for running scale and complexity, and for when management, team work and leadership really matter.These were developed by NASA mission operations over the years – primarily learning from Mercury, Gemini and Apollo. They have been popularised by the great Gene Kranz among others – he led operations for the Apollo 11 landing, the Apollo 13 rescue and much more. It is also interesting to note that in the shuttle era, there were times when the principles weren’t fully applied – and the resulting cultural comprises had tragic consequences with Challenger and Columbia. 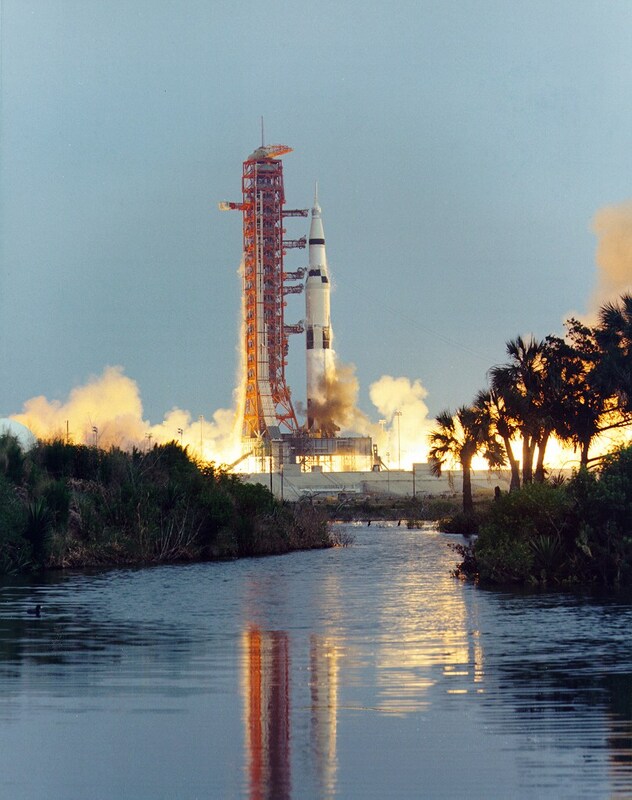 The flawed and complacent decision to launch Challenger to maintain schedule was very different from the bold move to launch Apollo 8 – essentially a Saturn V rocket test flight – to go around the moon, where the risks were understood and managed. The principle of vigilance has been added as a result. No individual or team can can take its performance for granted, and risk and change are eternal. The core principles are not tied to spaceflight and are strong principles for any team trying to achieve the large scale, complex and incredible. They are rules for making any kind of history, open to all of us. Enjoy. Discipline…Being able to follow as well as to lead, knowing that we must master ourselves before we can master our task. Competence…There being no substitute for total preparation and complete dedication, for space will not tolerate the careless or indifferent. Confidence…Believing in ourselves as well as others, knowing that we must master fear and hesitation before we can succeed. Responsibility…Realizing that it cannot be shifted to others, for it belongs to each of us; we must answer for what we do, or fail to do. Toughness…Taking a stand when we must; to try again, and again, even if it means following a more difficult path. Teamwork…Respecting and utilizing the abilities of others, realizing that we work toward a common goal, for success depends upon the efforts of all. Vigilance… Always attentive to the dangers of spaceflight; Never accepting success as a substitute for rigor in everything we do. 2.To always be aware that suddenly and unexpectedly we may find ourselves in a role where our performance has ultimate consequences. 3.To recognize that the greatest error is not to have tried and failed, but that in the trying we do not give it our best effort.